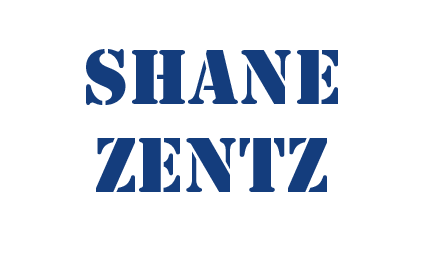 Check out some Wordpress Themes by Shane Zentz on this page. Feel free to use any of these themes free of charge, but there is no guarantee or warranty of any kind included with any of them. BBBones, A complete Barebones Wordpress theme, which I started from scratch. It contains every needed template, including page, post, archives, author, tags, comments, etc etc. It does not have much style at all as that is left to the user to add their own style to it. However it is a complete, correct, and working theme. It includes wp menu support, support for sidebar widgets, and also support for four widget areas in the footer, all of which can be styled as the user desires. Also favicon and screenshot images are included which can be edited as you desire for your own theme. The zip file for the BBBones theme starter can be downloaded HERE. 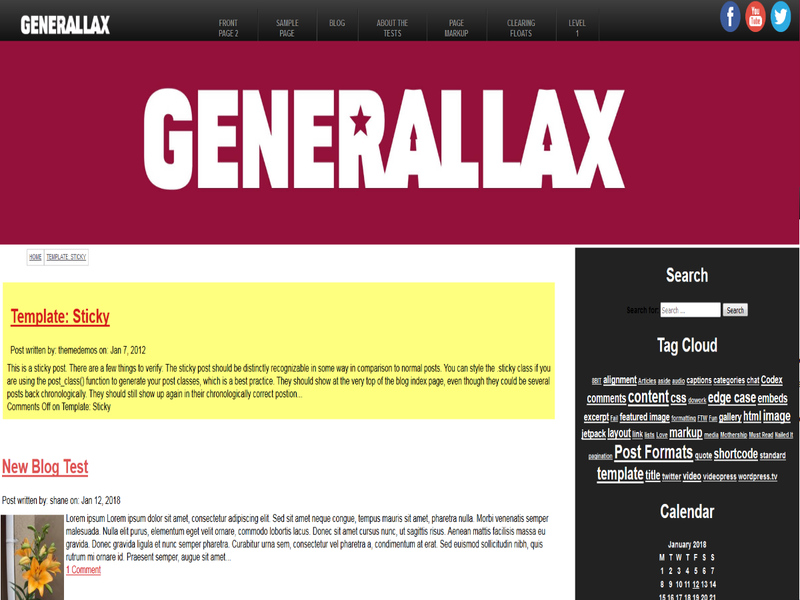 Generallax, A complete Wordpress theme, which I started from scratch and ported from a php/html template for a website that I created. This is an early version and not quite yet production ready, but still fully functional. Like the BBBones theme it is currently just intended as a starter theme, which the user will style up the way they would like it. The zip file for the Generallax theme can be downloaded HERE. Here is an example which shows the layout using the Wordpress Theme Data Unit Test (just random data and pages to give an idea of what a theme will look like). This is just an example to show how this theme will look and as you can see it may need to be tweeked a little before use. The wordpress theme port of Generallax 2 is very nearly complete, It's currently just missing a few polishing touches, such as adding text imputs to allow the user to input social media urls for the menu icons and a few other minor things. However, at this point it is pretty much finished, so I'll call this a beta release. There is going to be two different versions, the only difference between them will be the included lightbox scripts, one comes with lightbox evolution and the other comes with lightbox 2. I hope to release the version with lightbox 2 to the wordpress theme repository, and will update this page when that happens. 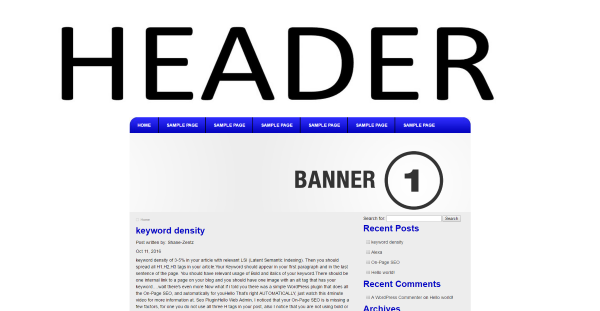 So, I think that this is the best wordpress theme that I have created to date. The best part is the automatic gallery creation function that I added to it, so no need for any heavy plugins (such as nexgen) to create lightbox gallerys. Photo gallerys can be created with the simple click of a button, it's as simple as adding an image using wordpress' media manager. This theme includes menu support, two sidebar widget areas, four footer widget areas, custom support including featured images, custom logos, custom header, custom background colors and images, and more. I have tested the theme using wordpress' theme unit test data and their theme test plugin, and it has passed all of these tests. Generico, A complete Wordpress theme, which I started from scratch and included an admin panel which allows the user to select many options. Color schemes can be selected and customized and also banners can be added by the user as well. Other options can also be selected. The theme is also mobile friendly and tablet friendly. This is an early version so it may need some tweaking but is basically a complete and correct wordpress theme. The zip file for the Generico theme can be downloaded HERE. Theme Dos, A complete Wordpress theme, is similar to Generico just without the admin panel, so any cistomization of this theme will need to be done editing style.css and/or other theme files. Another pretty basic wordpress theme which can be customized to your liking. This is an early version so it may need some tweaking but is basically a complete and correct wordpress theme. The zip file for the Theme Dos theme can be downloaded HERE.